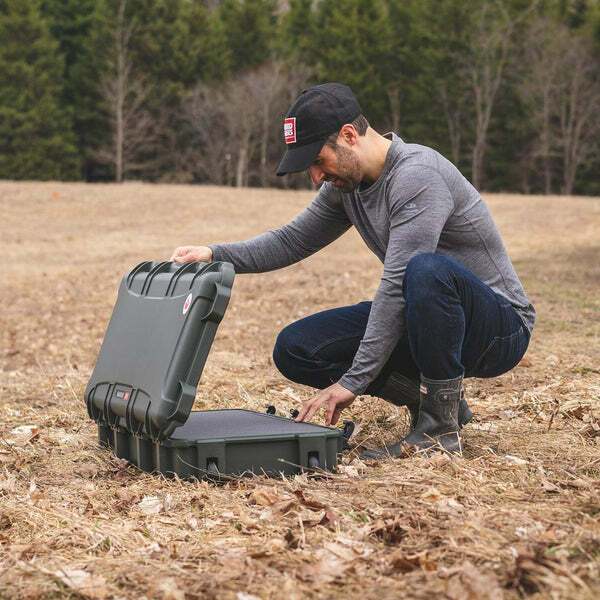 Whether you're setting out to stalk game with your AR 15 Rifle or transporting photograph or other sensitive equipment to the field, this hardworking riffle case can get your gear there safe and sound without missing a beat! 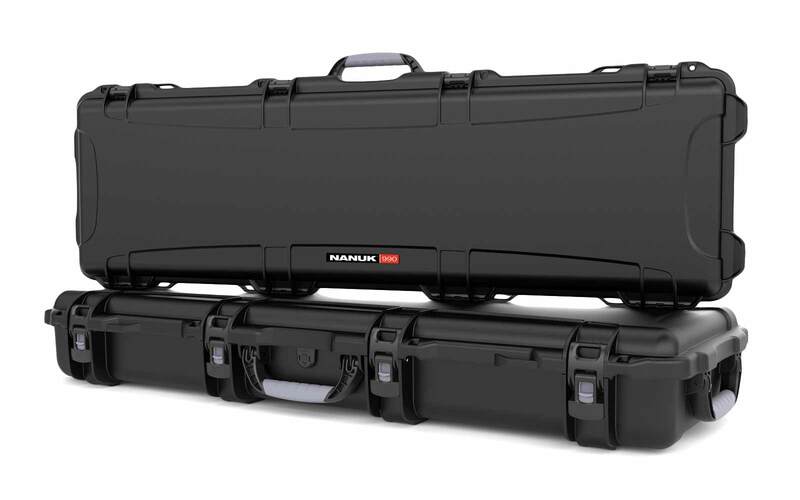 The all-weather Nanuk 985 Long Series hard case is designed for the most extreme conditions and comes with compatible TSA lockable handles. 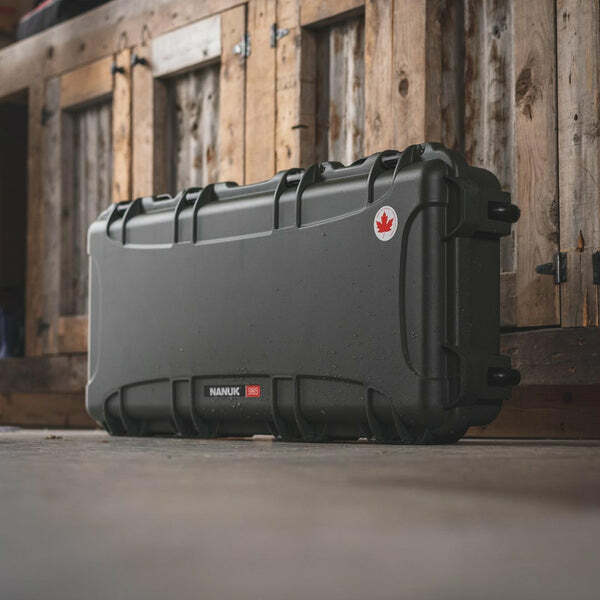 This trusted case is resistant to UV wear, corrosion, dust, water, and impact damage, meeting military standards for supreme security. 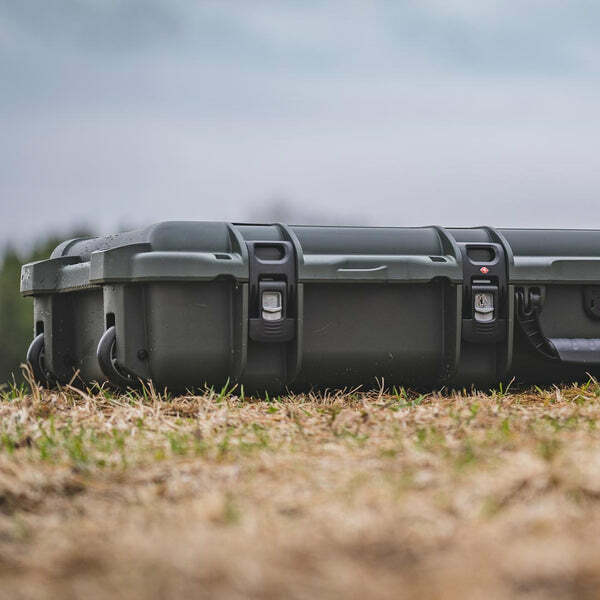 Because the 985ensures your weapons are in tip-top shape for the lifetime of the product, this hard-wearing rifle case is favored by avid sportsmen, hunters, law enforcement, and military. 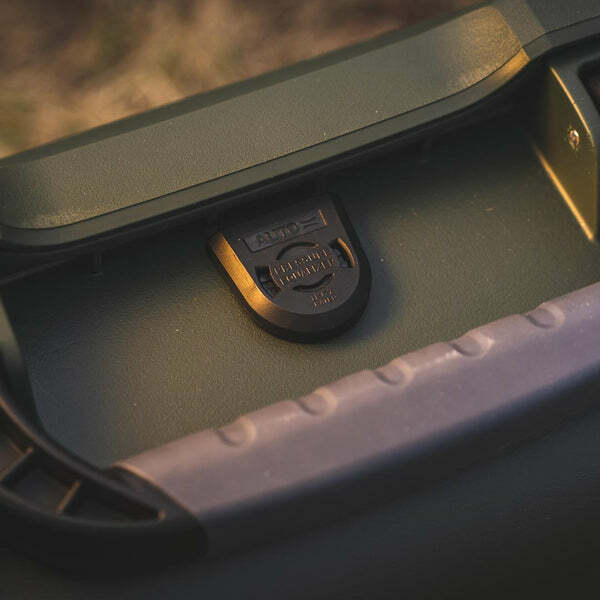 Carrying your hunting or tactical rifle falls into two distinct categories. 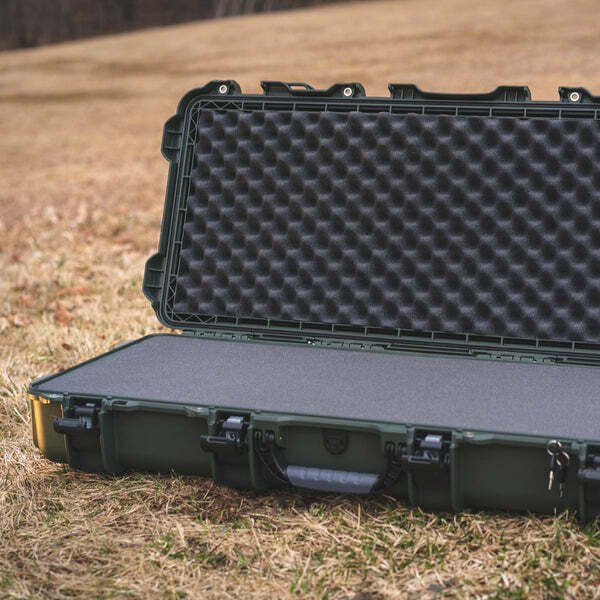 While you will more than likely carry it with a sling while in use, when it comes to transporting your gear between home and field, over water, or any other application, you still need a safe means of transportation -- something that ensures the gun is safe from accidental discharge as well as from environmental conditions. 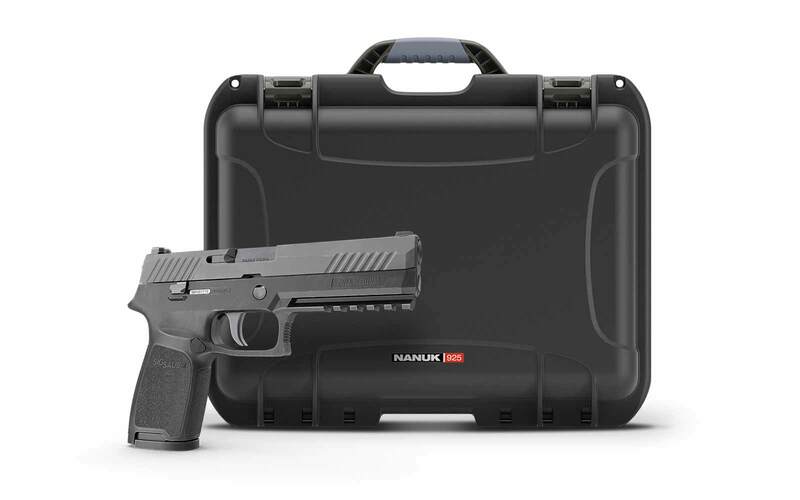 The Nanuk 985 presents a watertight and crush proof solution for marksman who respect and value their gun collection. 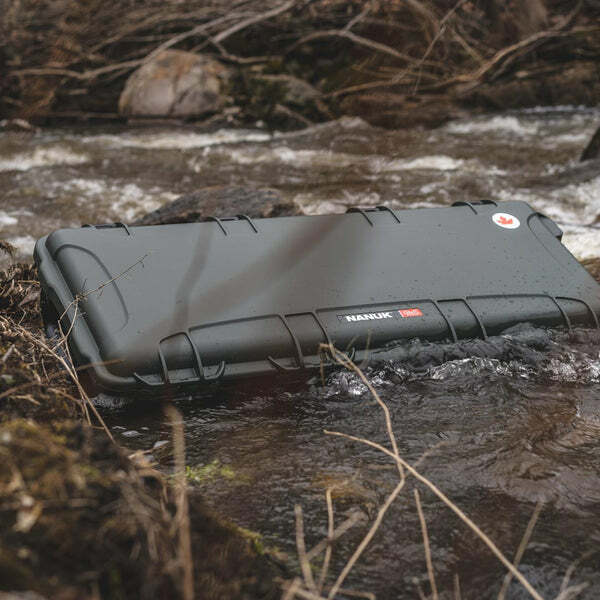 With IP67 Waterproof durability, the 985 keeps your equipment secure. 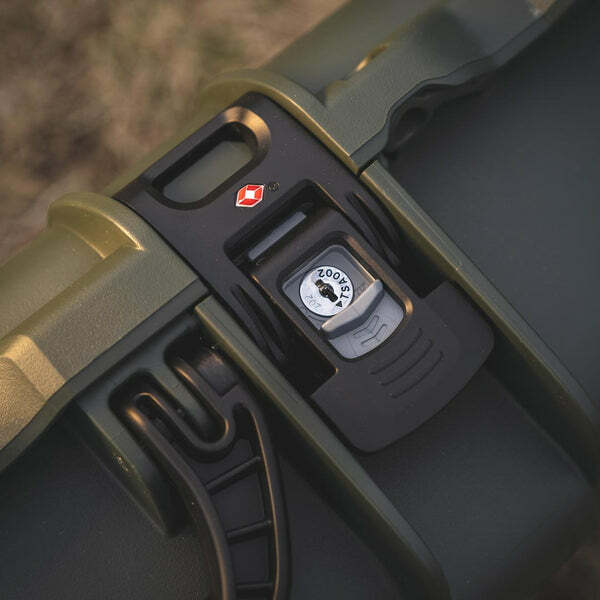 It is equipped with a total of four superior patented PowerClaw latches including two TSA PowerClaw latching systems, plus reinforced metal padlock holes and tie down eyelets. 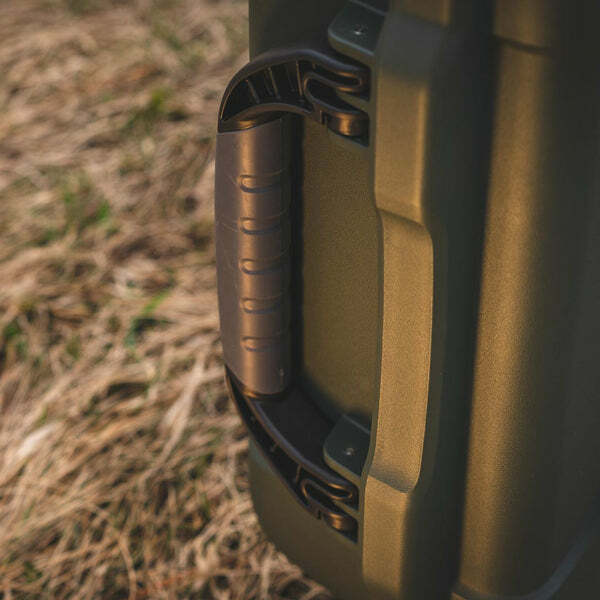 When ready to hit the ground, the firearm case features two spring loaded handles and gets around smoothly with two polyurethane wheels. 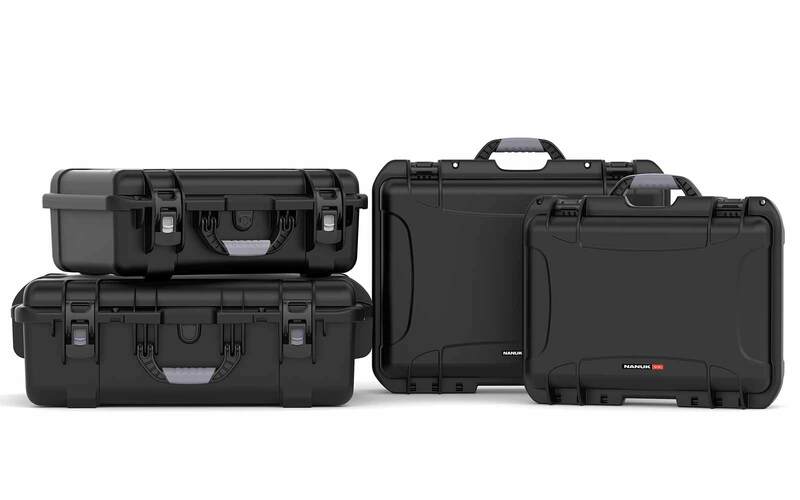 Made of high quality polyurethane foam, the multi-layered set of customizable inserts includes a solid layer that can be trimmed to accommodate the contents of the case for secure transport. 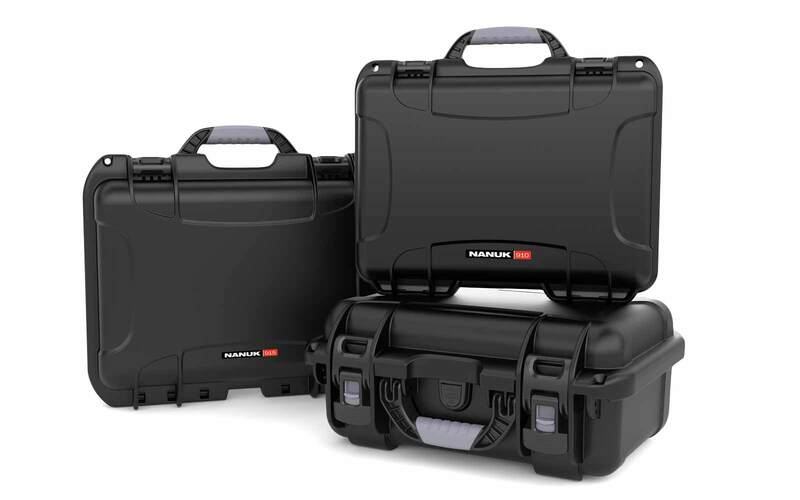 This solution is ideal if you are seeking a customized and easy way to protect and organize your equipment and small accessories. 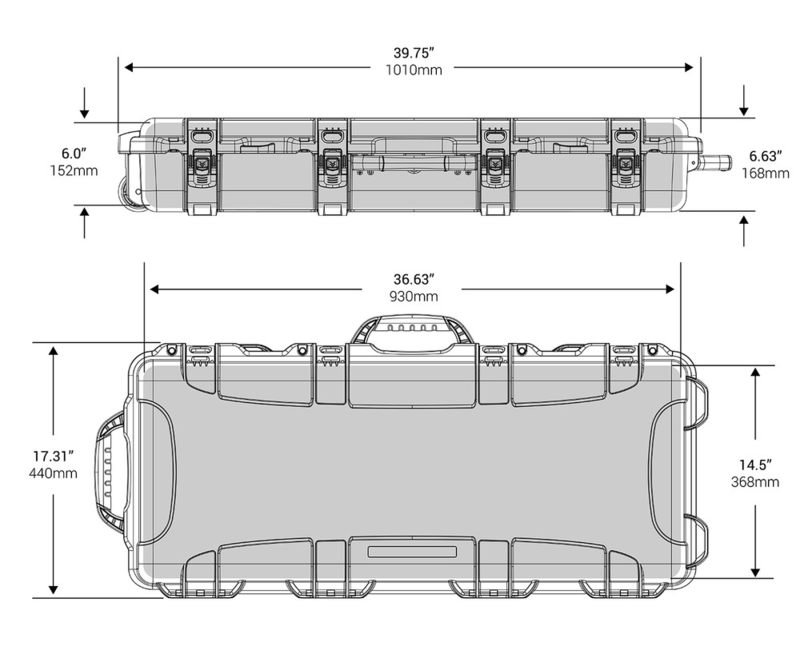 Fittings for your specific size gear is easy to achieve. Simply place your items on top of the foam leaving space between each item so as to avoid bumping or grinding, then cut it with a sharp knife to fit. 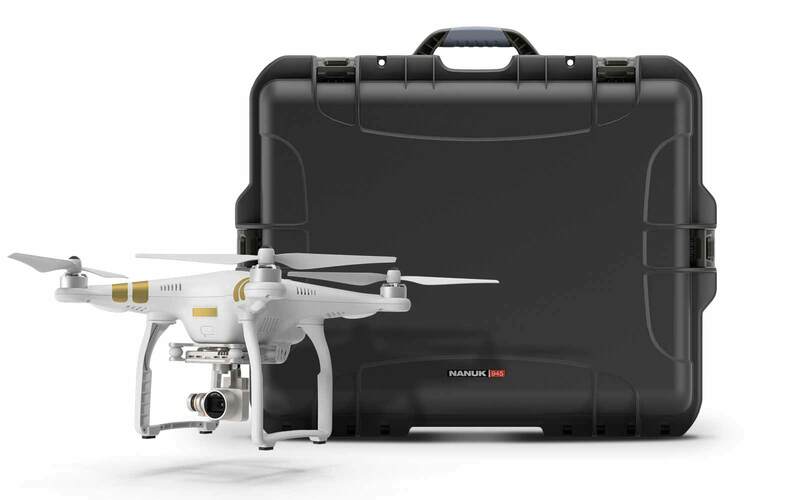 The multilayer design of the foam allows the layers of foam to be tailored individually to accommodate longer items, or it can be used as separate levels to protect a larger scale of smaller items or accessories such as shells, charging handles, eye and ear protection, tripod, camera equipment, telescope, and specialized tools among other items. 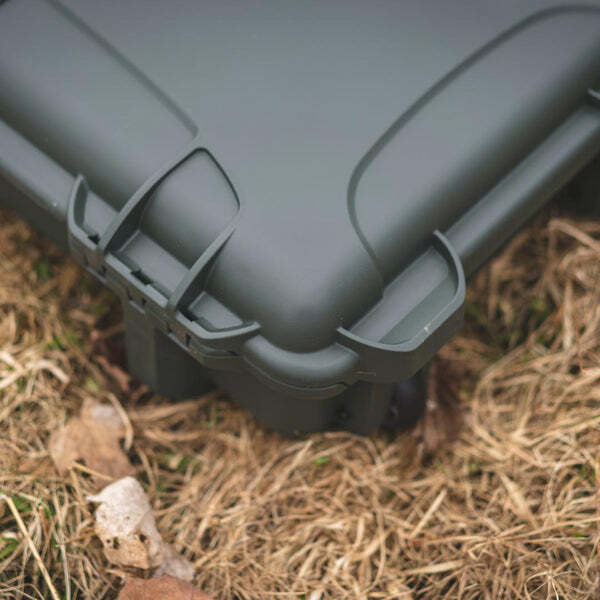 Whether you're heading on a hunt or contracted for field operations, the Nanuk 985 protects any item with its tough-as-nails exterior and solidly built foam interior. 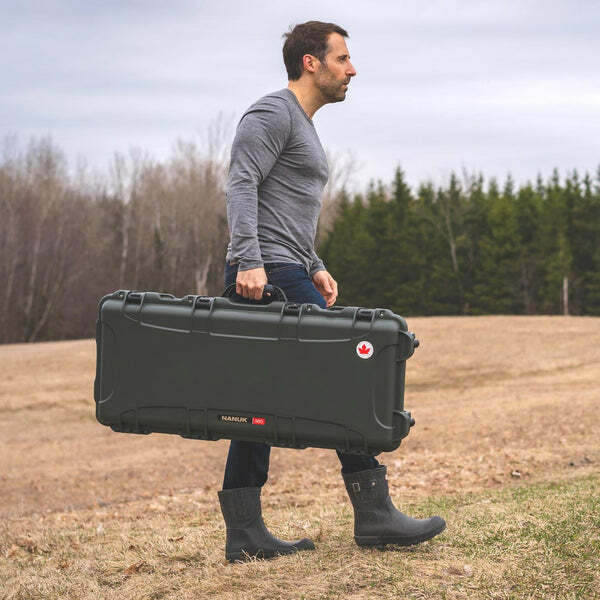 The Nanuk 985 assures a safe method to transport your rifle, magazines, optics, or other gear with its rugged impact resistant NK-7 resin that withstands all drops and jostles. This unfailing construction is well met by its automatic pressure release valve and 100% stainless steel hardware. 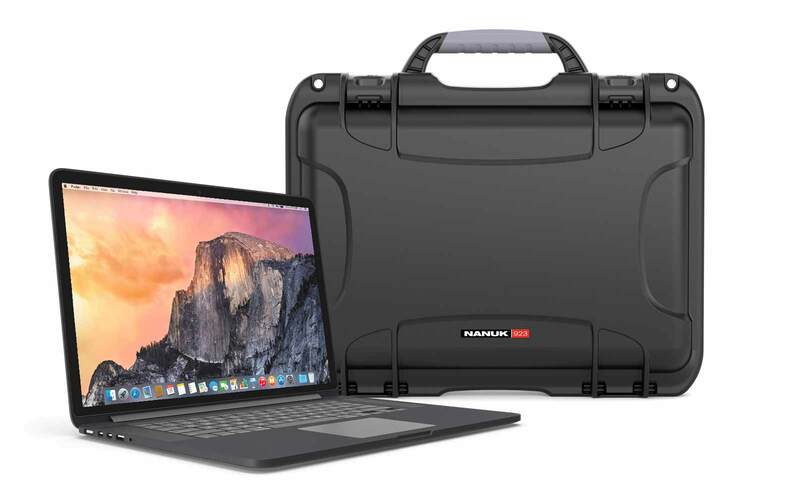 The stackable design of the hard shell ups its performance another degree. 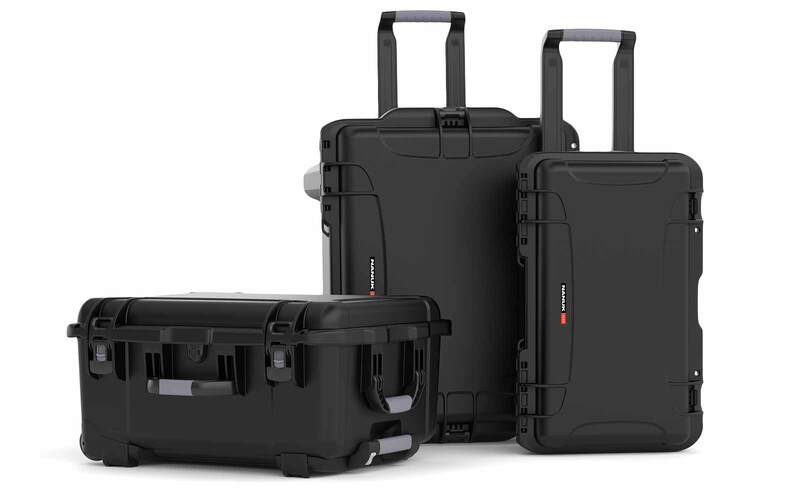 Whether transporting multiple cases at once or storing them away between uses, the practical contoured design allows that cases to be stacked neatly, one on top of the other, without worry of slipping and falling. 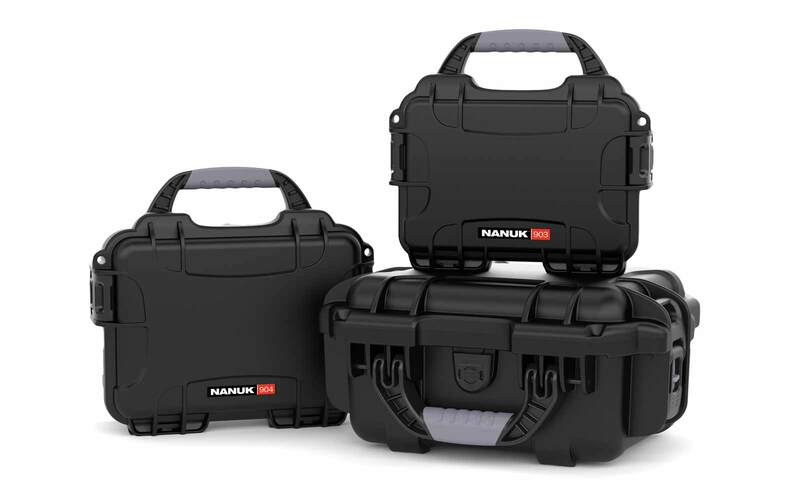 Should an accident occur and the case takes a tumble down a hillside or falls from a high shelf, the Nanuk's patented PowerClaw latching system prevents inadvertent opening. 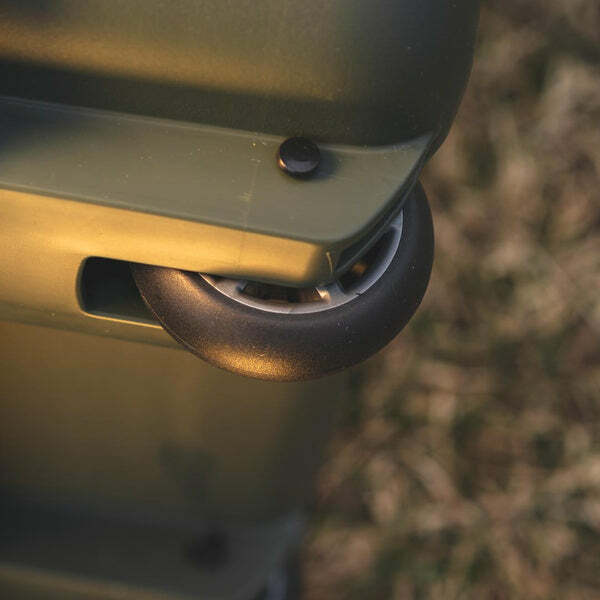 When you are ready to load the 985 or access your gear, the Stay Lock Handle and Lid Stopper 110˚ Lid Stay Technology assures easy packing and unpacking of your gear, meanwhile the soft grip handles maintain a fatigue-free hold when carrying by hand. 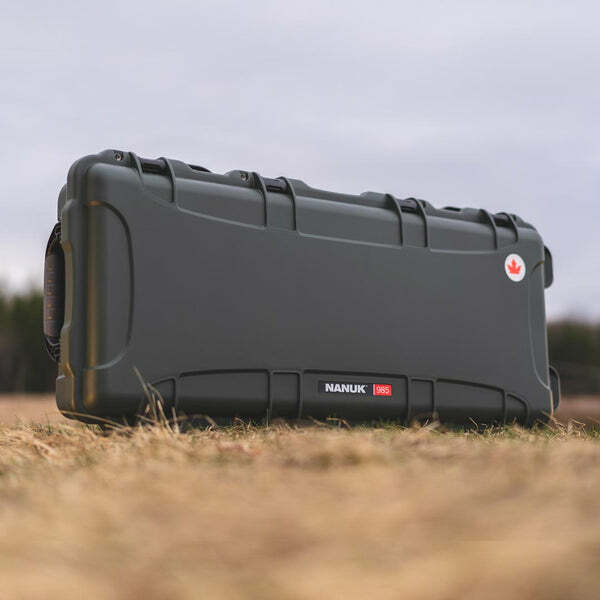 Watertight, dustproof, and crushproof, the Nanuk 985 case provides the ultimate protection with the perfect fit for your tactical riffles. Should you, for any reason, find yourself dissatisfied with your order, we will exchange it no questions asked within the 30 days following up your purchase. Call or email us if you have any questions about this case and we'll work with you to address all concerns to ensure your 100% satisfaction.